The 2018 Cash Game Festival Bulgaria at Platinum Casino, located steps away from the sand and surf of the Black Sea in Sunny Beach, has been a massive success with multiple records broken and tied. On Friday's Day 3, there wasn't an empty table in sight with all 15 tables full of action. Games were available at stakes low and high across a wide variety of games including no-limit hold'em, pot-limit Omaha, Sviten Special, and open-face Chinese poker. 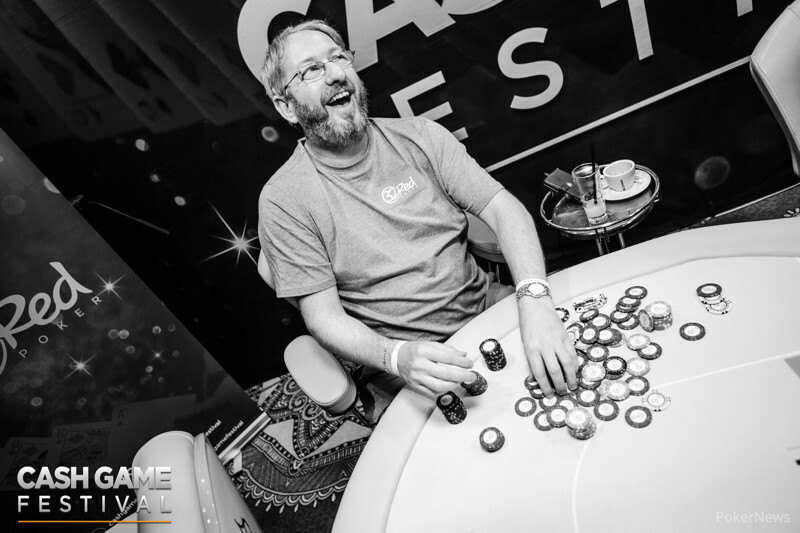 The Cash Game Festival hosted televised feature tables twice per day hosted by Cash Game Festival Head of Media Henry Kilbane and PokerNews Editor Jason Glatzer. Many guest hosts popped into the booth including Unibet Poker Ambassadors Ian Simpson and Rauno "Estonian Jesus" Tahvonen, Unibet Social Media Manager Simon Steedman, Aleksi Himanen, Jon Kyte, Carmen Elina-Vist, and Emma Simpson. Kevin Malone found the most success at the feature table after winning €1,620 in €2/€2 pot-limit Omaha for 810 big blinds and walked away with the Cash Game Festival Bulgaria trophy. The trophy is awarded to the player that wins the most big blinds at any of the 10 feature tables at the festival. Along with the trophy, Malone also won a package valued at €1,500 to the next Cash Game Festival in the Slovakian capital of Bratislava on Sept. 19-23. It didn't appear likely Malone would walk away with the trophy as he didn't notch up his big win until the very last televised feature table. €2 pot-limit Omaha feature table on Day 1 and the 432.5 big blinds in profit stood strong until the end. While Bibov didn't win a Cash Game Festival Bratislava package as part of the trophy competition, he will be in Slovakia anyway thanks to winning a package in another promotion involving play money roulette that took place on Day 2. Malone was one of the many players hungry for the trophy. 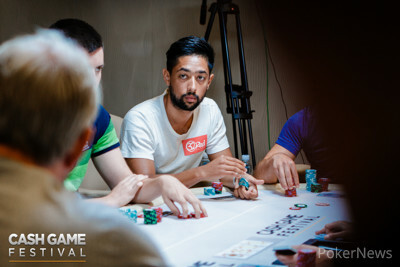 During dinner with Youness Barakat, who was the biggest feature table a festival record four times in Bulgaria, Malone shared he wasn't running well and didn't feel he would have a chance at the trophy. Barakat and Ian Simpson both appeared more optimistic about their chances heading into the final feature table battle. Simpson bought in deep and immediately doubled up against Barakat to wind up with a €2,200 stack. He was in control of the table and it appeared that he would secure the trophy. Germany's Maximus was able to chip up and wasn't too far behind Simpson midway through the feature table. Simpson shared afterward that he knew he would need to play a few more hands to have confidence that the trophy would wind in his hands. However, it was neither Simpson or Maximus that would be the eventual big winner of that table and the festival. Malone called a four-way all-in with a ten-high rundown and won a €3,700 pot after he nailed a straight. After that hand, many players congratulated Malone, knowing that the trophy would indeed be in his hands. This marks the second time Malone has won the trophy. He previously claimed this honor at his very first Cash Game Festival in Dublin in October. 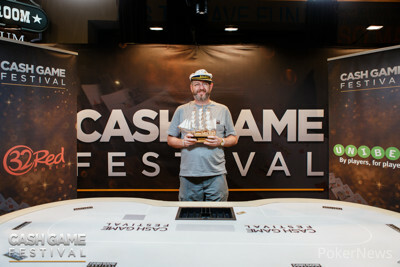 Two other players in Jon Kyte and Cash Game Festival Co-Founder Martin "Franke" von Zweigbergk also won two Cash Game Festival trophies in the past. "Look out in Bratislava Franke and Jon," said Malone. "I am going at it hard to win my Cash Game Festival record third trophy in Bratislava." The action was equally exciting away from the tables, especially for those with the hospitality package compliments to those who won a package at a previous festival or through the festival's valued partners 32Red Poker and Unibet Poker. Organized activities including welcome drinks, beach sports, Brazilian dancing, a VIP dinner, a city tour, and two parties. Unlike tournament festivals where players might be unable to leave the tables whenever they want, players were able to decide for themselves what they wanted to attend. If you were unable to make it out to Sunny Beach, rest assured you will not have to wait too long to enjoy the next festival. On Sept. 19-23, the Cash Game Festival heads back for the second time to the Slovakian capital of Bratislava at Banco Casino Bratislava for another five days of nonstop cash game action. The festival is expected to attract many players from around the globe, including many that just enjoyed their poker vacation in Bulgaria. As usual, the PokerNews live reporting team will be on hand to report on all the events both on and away from the tables. Photos courtesy of Natalie Black/Cash Game Festival. Kevin Malone Ships the Trophy! Who the champion would be came down to the final feature table with stakes at €2/€2 pot-limit Omaha. At first, it appeared it would be Ian Simpson after he won a huge pot off of Youness Barakat. 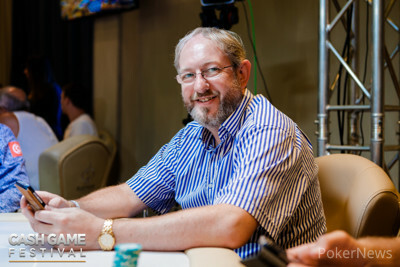 However, it was Kevin Malone that won a €3,700 four-way pot with ten-high rundown to become the clear favorite. 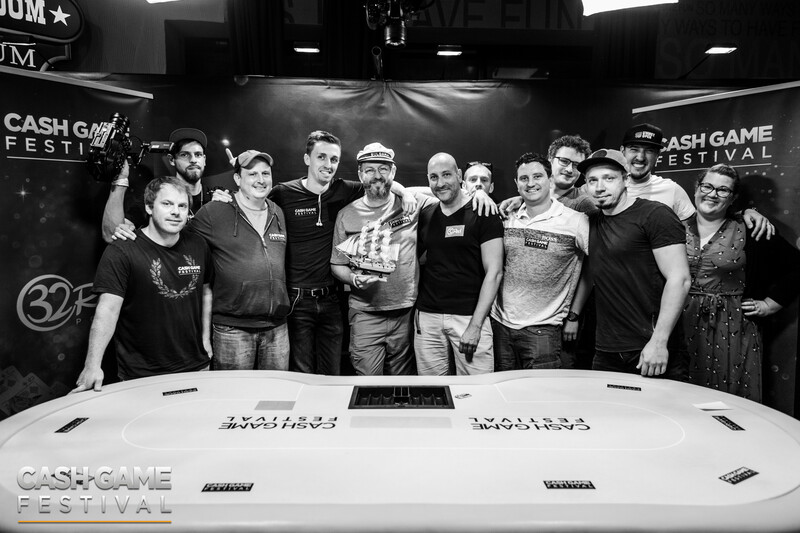 A half-hour later, the final feature table was in the books and Kevin Malone shipped the trophy after booking a profit of €1,620 or 810 big blinds. Stay tuned for the final recap of the 2018 Cash Game Festival Bulgaria. The €2/€2 pot-limit Omaha feature table has just kicked off. Players are aiming to win at least the 432.5 big blinds won on Day 1 by Nikolay Bibov in order to become the champion of the Cash Game Festival Bulgaria. 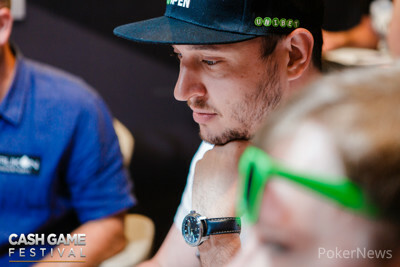 Many familiar names are at the feature table including Unibet Poker Ambassador Ian Simpson, Cash Game Festival Dublin champion Kevin Malone, four-time feature table winner at this festival Youness Barakat, 32Red Poker qualifier Christian Brauer, local player Milen Ivanov, and Cash Game Festival regulars Kalle Fagerstrom and Peter La Terra. You can watch all of the action on a 20-minute delay with all hole cards exposed by clicking on the Live Stream tab in our coverage. 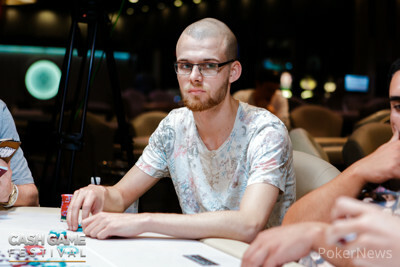 Alexander Sirakov was the big winner at the early feature table. Sirakov was not part of the initial line-up but obtained a seat after Scott "Scandy" Andrews was felted. His profit of €513 at the €1/€3 no-limit hold'em table certainly was a nice hourly. However, this only adds up to 171 big blinds, meaning Nikolay Bibov is still in the lead for the trophy after winning 432.5 big blinds on Day 1 with on more feature table to go. The second to last feature table of the Cash Game Festival Bulgaria has just kicked off. 32Red Poker qualifier Yohannes McAllister is among the players in the lineup looking to become the biggest winner of a feature table twice this festival while Youness Barakat is looking to do the same for the fifth time. Also at the table is Unibet Poker Ambassador Rauno Tahvonen, Cash Game Festival Dublin trophy winner Kevin Malone, Scott Andrews, Scott "Scandy" Andrews, Nikolay, Anton Peev, and Cash Game Festival veteran Ed Furniss. In case you want to see what you have been missing out on in Bulgaria, here are some of the video highlights from Day 2 and Day 3 of the festival. Youness Barakat has been the biggest winner at four of the first eight feature tables of the festival. However, it is Nikolay Bibov in the lead for the trophy competition after winning €865 or 432.5 big blinds at the €2/€2 pot-limit Omaha feature table on Day 1. Photos compliments of Natalie Black/Cash Game Festival. Will Bibov Win the Trophy at the Cash Game Festival Bulgaria?